GBPJPY is under the influence of some economic reports in Japan such as Nikkei Services PMI, Nikkei Composite PMI, Labour Cash Earnings YoY and Real Cash Earnings YoY. The pair has been moving with bearish bias and has already passed the 61.8 of Fibonacci retracement therefore there might be a rebound any time soon. 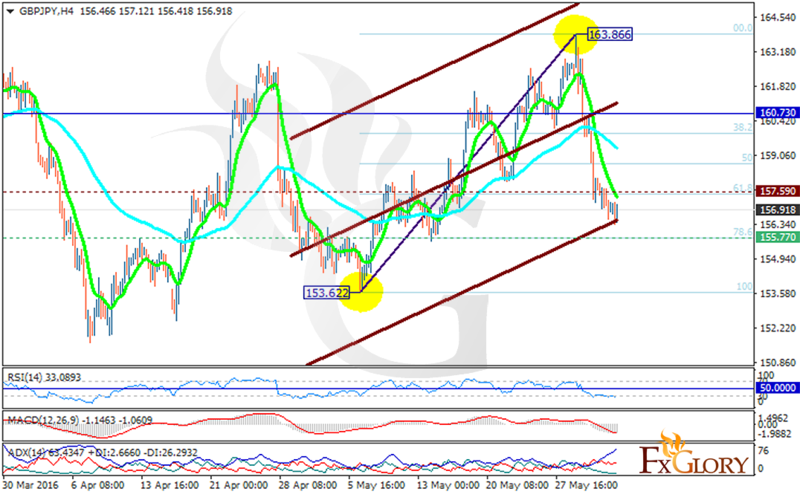 The support rests at 155.770 with resistance at 157.590 which both lines are below the weekly pivot point at 160.730. The EMA of 10 is having a rapid fall crossing the EMA of 75. All indicators are showing strong sell signal. The MACD indicator is in negative territory, the RSI is below the neutral zone and the ADX is showing strong sellers. The resistance breakout is a good sign for the rebound which may increase the rate to 160.70 however if the price falls down it will decrease to 155.